Lake Shafer living doesn't get much better than this! This home was completely re-built in 2007. Inside offers 3 bedrooms, 3 bathrooms, loft/office, 2016 sqft, open floor plan, & nicely updated. Convenient for entertaining inside & out. Beautiful kitchen with newer quartz counter tops, back splash, stainless steel appliances, & a large island that is open to the dining room & living room. 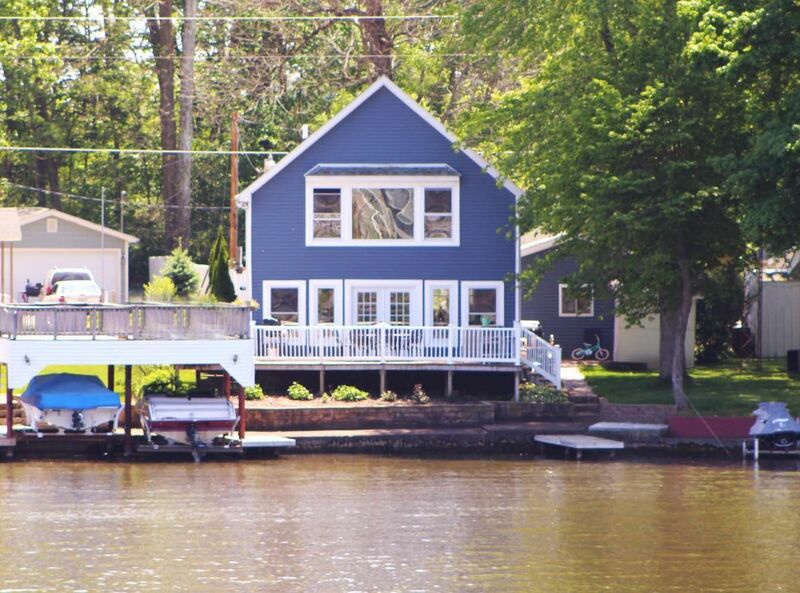 The spacious living room opens up to the large lake side composite deck overlooking the lake. Additional lake side space includes the deck over the permanent electric boat lift. Amenities inside & out include: Hardwood floors, granite countertops, newer appliances, tankless water heater, new french doors, new cables for boat lift, 2 car garage, fence, stamped concrete, & ample parking for up to 6 cars. The lake life is great & then some more! Several Lakefront dining options, Indiana Beach Amusement park, golf courses, drive in movie theater & more.